Hello darlings!! The fabulous danz@fatalfashionattraction has tagged me! As nearly all my favourite bloggers have been well and truly tagged already, I will give your six unamazing quirks about myself-ha ha ha!! 1. When I go thrifting at the boot sales or charity shops, I always try and get rid of something existing in my wardrobe to give to the charity shop-I love my clothes but just don't like overload in my drawers and wardrobes!! 3. Is it a woman thing or me-I'm never satisfied with what I've got-clothes wise, that is!! I have a wishlist, go and get the said items, then I'm onto the next thing which I haven't got and must have! 4. I worry too much-I think that is definitely a woman thing!! 6. I would like a dog or a cat, but we already have a hamster-his name is James and he loves climbing the bars of his cage-I will take a picture of him while he hangs from the roof of his cage-he is really cute! Must fly, darlings-so much to do-ha ha ha!! I feel I worry too much, and then I worry about the worrying. I worry that one day, I'll really have something to worry about and then I'll regret the years I spent worrying about nothing. Yes-it feels like your head is going to explode from worry overload! Hi Ida-us lovely ladies take on the worries of the world, I think!! I'm so pleased I'm not the only one, pamcasso-it's amazing how 'female logic' works-we use to our own advantage, I think!! Love that you try to get rid of something. I am a saver, but give away anything that dont fit me anymoore. Its a woman thing to worry, I take myself in doing that every day. I love sun, summer is my favorite part of the year. 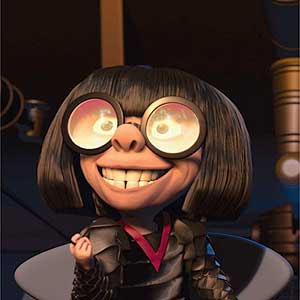 And Edna has some serious style! we all want nore and more cloth! Hi Siljes-yes, I create excuses to give things away that I don't want-such as it doesn't fit (properly), don't like the style on me,etc!! I totally agree, I so miss the sun when it's not here-it's officially in hiding at the moment!! Hi saray-tell me about it-why are we never satisfied!! Thanks danz-she rocks, doesn't she-ha ha! !